Elsie Quarterman is 102 years old today. She was born in Valdosta in 1910, played basketball for Hahira High School, graduated from Valdosta High School, got a B.A. from Valdosta State College, and taught English in Morven, Naylor, Columbus, Lake Park, and Lyons, Georgia. Dr. Elsie Quarterman got a Masters and a Ph.D. from Duke University in in botany and plant ecology. While studying for her Ph.D., she was a professor at Vanderbilt University in Nashville, Tennessee, where she was one of the first women full professors and was the first woman department chair (Biology). She specialized in the cedar glades of central Tennessee, including one now named after her by the state. There is an annual wildflower festival named after her. She rediscovered the cedar glade Tennessee coneflower, Echinacea tennesseensis, which previously was thought to be extinct, but has since been taken off the endangered species list, partly due to her work. Her wikipedia page has more information about her work and her many honors. Aunt Elsie still lives in her own house in Nashville, connected to her nephew Patrick's house, where Patrick and his wife Ann live and take care of her. Here Elsie visits the grave of her great-great-grandparents in Thurso, Caithness, Scotland. 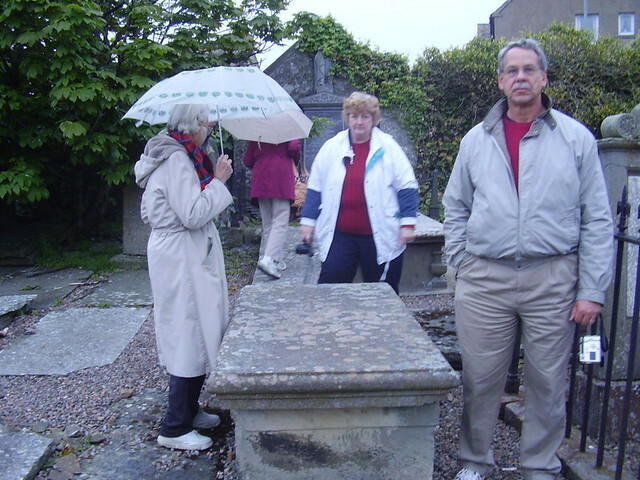 Elsie, Ann, and Patrick at the grave of Alexander Sinclair, Merchant of Thurso, and Catherine Waters, of Brims Castle. Their son Benjamin Waters Sinclair is buried in Quitman, Brooks County, Georgia. The rest of the line from his daughter Susan Evalyn Sinclair on to Elsie are buried in Sunset Hill Cemetery in Valdosta. 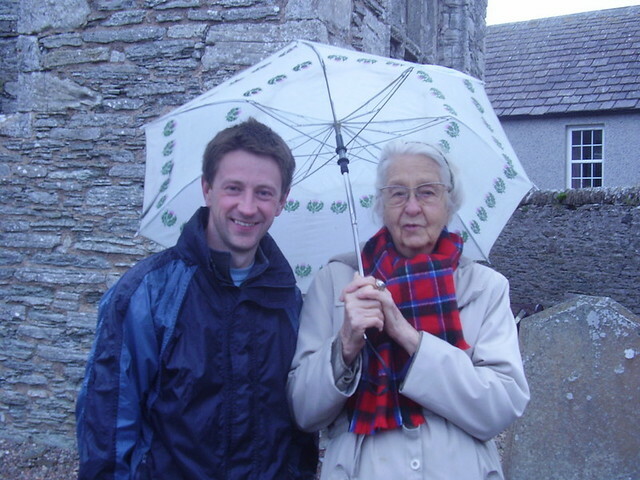 James Campbell and Elsie Quarterman at Old St Peters Kirk, Thurso, Caithness, Scotland, 2006. Aunt Elsie continues to be a pride of our family.